A night of insane math rock, prog, jazzcore and experimental riffs from some of Europe’s finest. Shiver are the latest group from Acoustic Ladyland and TrioVD guitarist and producer Chris Sharkey. The trio have been challenging audiences perceptions of music for just over a year, sitting as comfortably at EFG London Jazz Festival as they have when headlining the PX3 stage at ArcTanGent Festival. 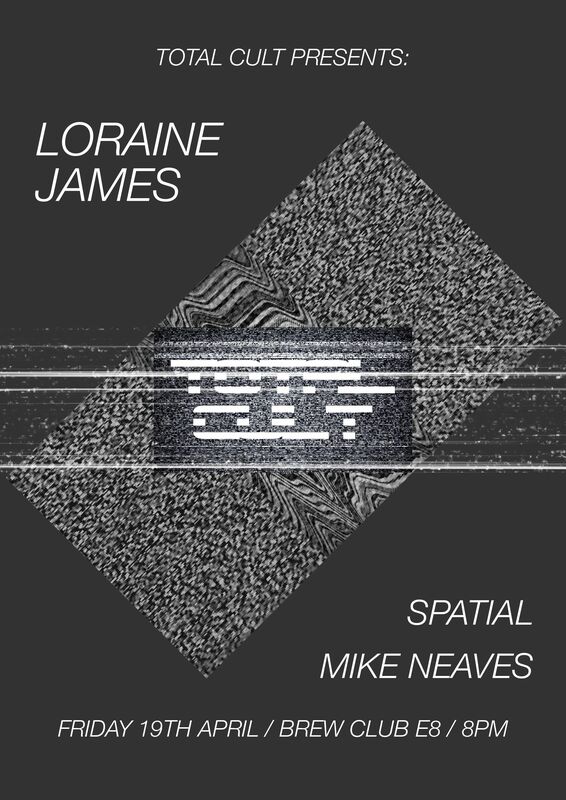 Stretching the span of instrumentation and the imagination, this trio flits between solid, head-nodding riffs, ambient spaces and frantic electronic cacophony. Tonight they will be playing new material from their recently released third album. The Fierce & The Dead are a hugely respected and critically acclaimed noisy pronk four-piece from London. Their precise musicianship and schizophrenic, immensely complex, yet catchy music has earned them headline slots all over the UK. Featuring internationally renowned guitarist, loop artist, blogger and all-round independent music guru Matt Stevens, TFATD have shared the stage with bands including PHILM, Knifeworld, Thumpermonkey, Anathema, Cleft and Lost in the Riots. Tonight they will premiere unheard material from their upcoming EP. Formed in Seattle a few short years ago, experimental four-piece Alex’s Hand subsequently relocated to Berlin and have been wreaking havoc on Europe’s DIY noise, post-punk and garage ever since. They’ve shared the stage with MoRkObOt, which must have been a bizarre evening. As at home on stage as they are playing avant garde installations (such as 24 hour festival Avant Garden) in a punk squat in Berlin, this will be their first venture to the UK. More details here, and tickets available here. I should put in a particular word for Alex’s Hand here, having watched them grow and sprawl over the past few years along a meandering but inspiring path from arch art-pop parodists to noisy song-brawlers and most recently to a kind of spontaneous noise-prog ensemble. There are a few ‘Misfit City’ reviews of their earlier material – one for ‘Madame Psychosis‘ and one for ‘This Cat Is A Genius‘. Although I’ve not covered Shiver yet, I do also have reviews of early Fierce & The Dead material (here and here), as well as a look at the band’s Matt Stevens playing a solo slot. 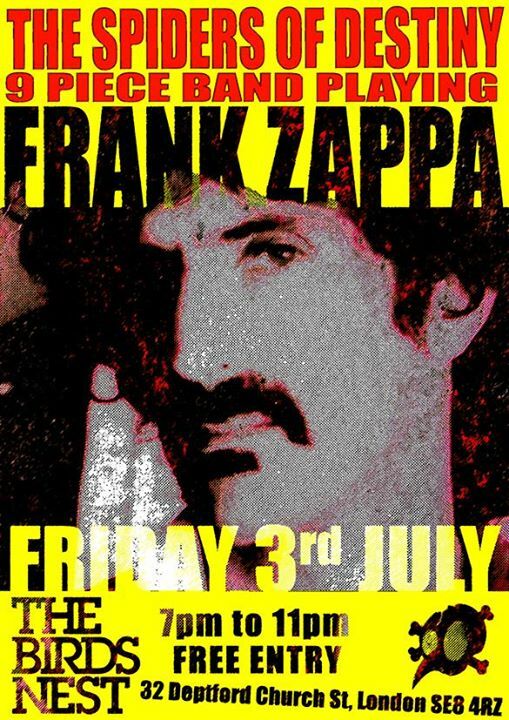 If you’d rather spend a free evening with Uncle Frank, The Spiders of Destiny are playing another London gig of Zappa music on the same day. As ever, expect some of London’s most accomplished art-rockers to work their way back and forth through the Zappa catalogue. The Deptford venue they’re playing this time has plenty of history, whether under its current name, its old monicker of The Oxford Arms or any other title it’s enjoyed over several hundred years. If you don’t spot Frank’s ghost leaning on the sound desk and having an appreciative smoke, you could try looking out for the ghosts of Dire Straits or Christopher Marlowe instead… Up-to-date details here or here, with two-as-yet unnamed bands to be added to the bill. Looking further ahead, Tim Bowness is out on a very brief tour in August, playing a handful of dates in England and Poland to promote his imminent album ‘Stupid Things That Mean The World’ as mentioned last month. His band features his usual cohorts of Andrew Booker (drums – also of Sanguine Hum), Michael Bearpark (guitar – Darkroom, Henry Fool), Stephen Bennett (keyboards – Henry Fool) and the more recent recruit Colin Edwin (bass guitar – Porcupine Tree). 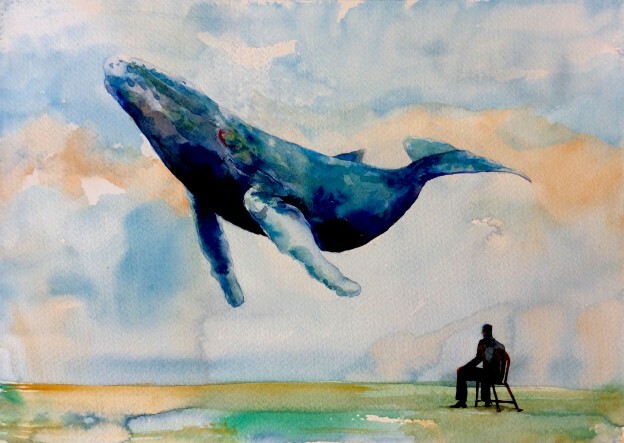 The Lousiana, Wapping Road, Bathurst Terrace, Bristol, BS1 6UA, UK, Tuesday 25th August, 7.00pm – tickets here and here. 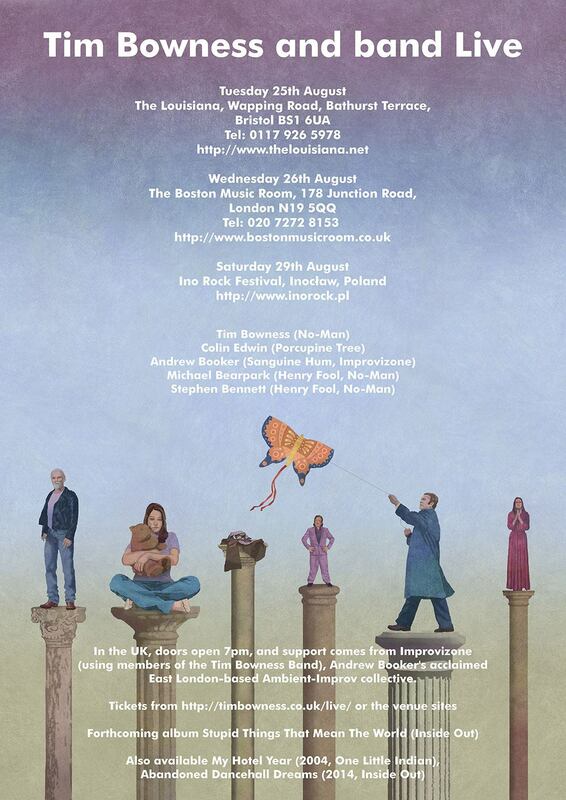 The Boston Music Room, 178 Junction Road, London, N19 5QQ, UK, Wednesday 26th August, 7.00pm – £17.00 – tickets here and here. Ino Rock Festival, Theatre Letni, Inoclaw, Poland, Saturday 29th August – 35.94 euros – tickets here (other acts at the festival are Fish, Motorpsycho, State Urge and Millenium). Playing support at the Bristol and London gigs will be Improvizone, the flexible live-ambient improvising collective led by Bowness band drummer Andrew Booker. The rest of the Improvizone lineup looks as if it will be drawn from the current Bowness band (Michael Bearpark is a frequent Improvizoner) so perhaps you should expect the same band playing in two very different configurations. Up-to-date news will be here. There is at last a provisional release date for ‘Meanwhile Gardens’. 23rd October 2015! Pre-orders will be available in due course from the Bandcamp site and elsewhere. The album is now with the pressing plant, but the lead time on the vinyl is long (pressing plants are straining under the pressure of so much vinyl at the moment, hence the provisional nature of the release date). You should all give yourselves a pat on the back and raise a toast to this group because without this page it might never have happened. Thank you all for your enthusiastic support!